With the onset of wireless technology and internet, IoT has become omnipresent. Our homes, vehicles, living place, workspaces and every place have adopted the internet and its benefits. Internet of Things is thereby generating a large amount of data and this data is expected to keep on increasing with time. A research done by the Grand View says that the IoT market size will reach USD 57.3 by the year 2025 globally with a CAGR(Compound annual growth rate) 29.7 percent. Let’s take an example: For providing a better customer experience; the alerts, visualizations, and reports are initiated with real-time IoT data for the e-commerce websites. IoT solutions are expected to provide real-time network intelligence and successfully improve internal operations. On the contrary, when the IoT data is scrutinized, it comes up with new challenges. The data associated with IoT comes in huge volumes and remains unstructured. The data even varies in terms of images, text and videos. Operational technology usually correlates with the data that has been collected from manufacturing devices, temperature sensors, tablets, pressure sensors, etc. However, information technology correlates with the data that has been collated from legacy systems, CRM, enterprise systems, finance systems, and ERP. Just focusing on IT or OT(Operational technology) data does not necessarily provide results. Combining both these data always provide fruitful results. The conventional analytical tools and technologies have been designed to look after the IT data and not working on the data set directly. One of the significant challenges in the IoT domain is the cleaning of OT data from corrupt, false readings and noise. Another known challenge is passing the dashboard generation while carrying out IoT analytics. 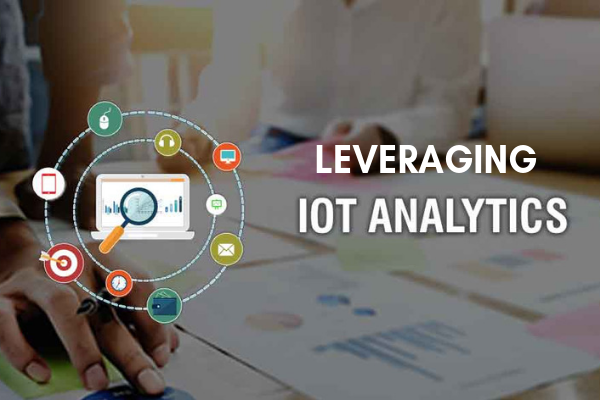 IoT analytics encircles the collection of data from IT and OT data sources and successive integration, storage, visualization, analytics, and processing, thereby generating important business insights. We can use different cases for applying IoT analytics. In case of home security & automation, we can consider the data that has been collected from discrete temperature, alarm sensors, smoke, humidity, etc. and merge the customer data to improve the experience associated with consumer lifestyle. In the retail industry, video analytics on the data can be collected from the IP cameras to check for the theft, sweet heartening and to monitor the number of entries and exits made. It can also be used in smart building areas to keep a track of energy utilization. Energy utilization dashboards can identify the specific time for the room to be heated or cooled, find the air quality threat as well as deploy predictive maintenance. Enterprises are required to deal with legacy software solutions which were never meant for IoT and to manage the problems with user security, usage, and technology. For performing such an operation, an integrated IoT solution is required, that is capable enough to respond and use the data generated. Analytics can be utilized to bring improvements in the consumer service and locate new opportunities to bring in new products and services in the market. Talking about the retail industry, we rely on video analytics and the data collated with the help of IP cameras. The data from humidity sensors and temperature tags can be further used to forecast perishables and shelf space replenishment. Data generated from digital shelves can further be used for discount offers and real-time pricing. The data security of IoT is a major concern for the organizations. A recent survey suggests that nearly 70 percent of IoT devices couldn’t provide the fundamental security and remain deficient in safeguarding the important data. The data generated by the IoT devices too needs to stay in the hands of users and controlled tightly. Therefore, the IoT designers need to focus on making the whole process more secure and private and build IoT defenses into the product itself. 1. Home Automation: In Home automation, the devices are connected securely to a hub or mobile application. This integration enhances the user’s experience as the users can monitor and control all the devices sitting at their home. For example: Vivint. 3. Delivery and Fulfillment: The tracking of trucks in the field is carried out successfully and with the utmost accuracy with the help of IoT nowadays. IoT applications try to provide a framework to enable robust management to multiple devices being connected to the internet. IoT analytics provide a huge opportunity for the enterprises to extract valuable insights from the data and use to improve the overall functioning, user-experience. IoT analytics act as a medium to preserve a competitive environment for the enterprises. And, soon it is going to crucial for enterprises to maintain a competitive edge and dominate the business world.